Liverpool born producer and DJ Melé has been enjoying great success of late. His club night, Club Bad, continues to be a bastion of quality, electronic music in his hometown with the events continuously selling out. He’s been championed by Gilles Peterson, which culminated in him headlining this year’s Worldwide Festival. 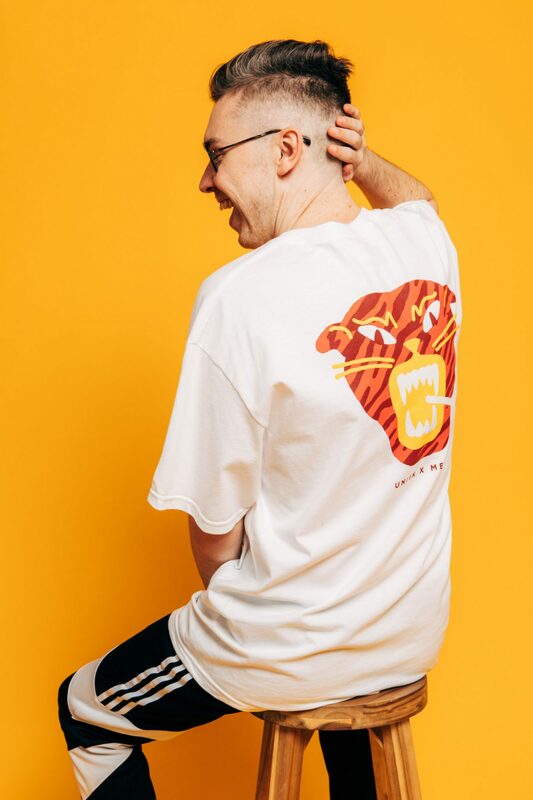 Melé has also been enjoying success in the world of fashion with his line of t-shirts launched in October in collaboration with streetwear brand UN:IK, who have previously teamed up with Skream. The tees feature the instantly recognisable designs of the Club Bad artwork, created by Joel Burden. The previous line has just been restocked and we can expect a brand new line to drop in January. Melé says that “it’s been a dream working alongside UN:IK on this collab. It’s so good to see the amazing designs from Joel Burden come to life on these tees”.